Raffey Cassidy has talent and skill that belies her age. At 11, she was named one of Screen International’s UK Stars of Tomorrow, and is the youngest actor ever to be named to that list which has included amongst its members Benedict Cumberbatch (Sherlock, Star Trek Into Darkness, The Imitation Game), Matt Smith (the 11th doctor in the Doctor Who series), and Carey Mulligan (An Education, The Great Gatsby) to name a few. Mentioning Raffey’s age isn’t meant to say she is good for a young actress – it’s instead meant to say that an actor this good at such a young age has talent to carry her as far as she wants to go. Now at 13, she is one of the main characters in the movie Tomorrowland, holding her own with such veteran actors as George Clooney and Hugh Laurie. She and fellow actress and star Britt Robertson (who plays Casey Newton) have great chemistry together and play off each other nicely. Athena, Raffey’s character, often plays the straight man to Casey’s more emotional character, which fit in to their personalities off the screen as well as Britt talked about at the press conference. And she can throw a mean punch. If you’ve seen the movie, or even the previews, you know that Athena is involved in some incredible fighting scenes which involve a lot of athletic skill – and which Raffey got to perform herself. “I was very lucky and got to do all of them really. There may have been one I didn’t get to do which was like a cartwheel thing.” She did tons of training in preparation for those scenes, including two months of martial arts, gymnastics, and swimming and an extra month of martial arts and then a lot of extra training every week. Raffey credits a great stunt team for always making her feel comfortable and helping her to know her moves. Raffey has a wonderful presence, a charming personality, and is very polite. She really makes you feel comfortable to be around her. It was a pleasure to spend time with her and hear her thoughts on the movie. 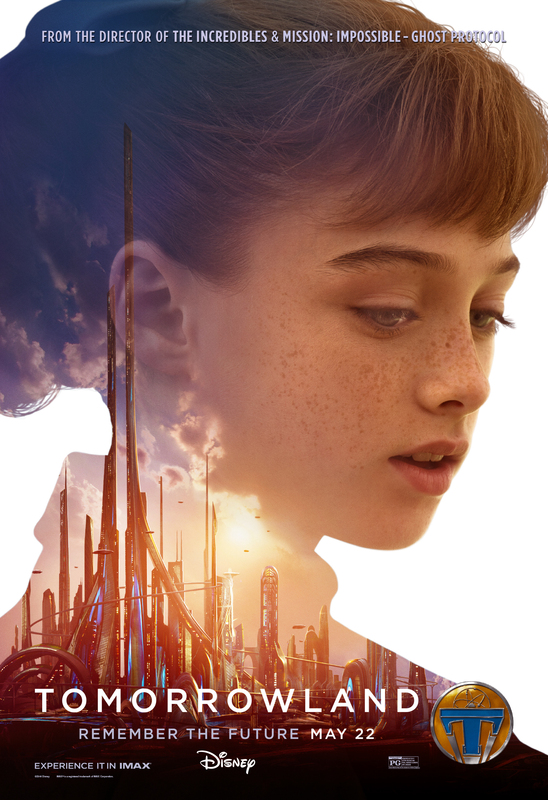 One part in particular that was memorable for me was asking her what she hoped people would get out of seeing Tomorrowland. She said, “I hope they realize the future is something we’re making not something we’re going to because the future is anything we want it to be. The future is unknown.” How very true. 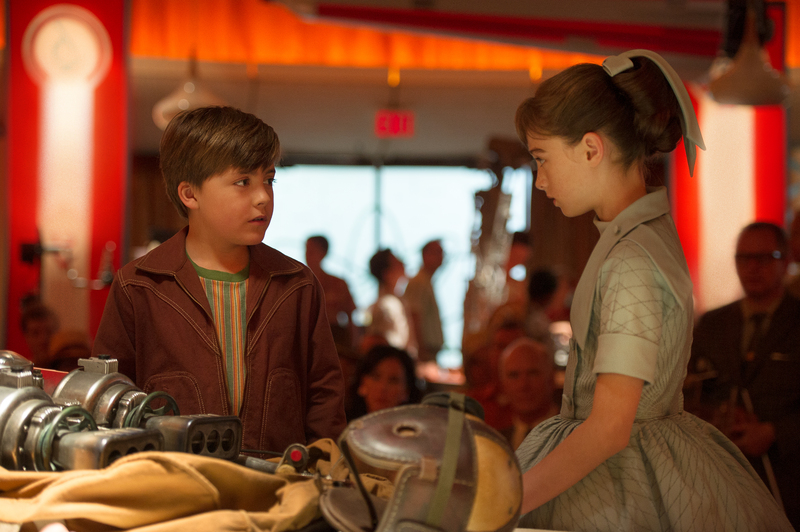 For my review about the movie, Tomorrowland, go to our blog post and read about it. For more about the press conference and the possibility of a Tomorrowland attraction at the theme parks read it here. I agree with you. Raffey Cassidy (Athena) was a revelation and truly stole the show.